The Galaxy S3 is a GPS smartphone enabled with A-GPS among Google Maps allowing you to navigate through your city. Be prepared to enjoy an amazing combination of style, performance. Galaxy S3 is based on the Android v4 operating system and 1.4 GHz Quad Core processor with simplicity and sensibility and easy multitasking, rich notifications, customizable home screens, resizable widgets and easy interactivity. 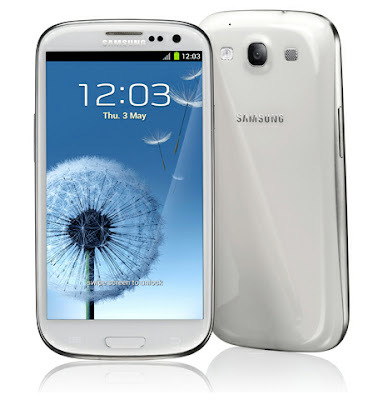 Samsung Galaxy S2 was a most success and now Samsung has been preparing its next version which is Samsung Galaxy S3. This next version is expected to have Exynos 4212 processor with a 4.8-inch HD, capacitive touchscreen that supports 720 x 1280 pixel resolution with 16 M colors and Mali-400 mega pixel graphics and 8 megapixel camera with LED flash. The S3 is powered by a powerful 2100 mAh Li-Ion battery that supports optimum talk time and standby time. The Samsung Mobile has an internal memory of 16 GB and can be expanded up to 64 GB using micro SD or micro SDHC cards. And enabled with GPRS, EDGE and 3G, and is Wi-Fi enabled and also supports the Wi-Fi hotspot feature that allows the S3 to connect to the mobile network and act as a Wi-Fi router. Also you can create your own Wi-Fi hub wherever you are. The S3 is Bluetooth enabled and has a micro USB port for connectivity. and Sharing is made even easier allows you to transfer documents, contacts, pictures, music, videos and more by simply placing the backs of your phones together.